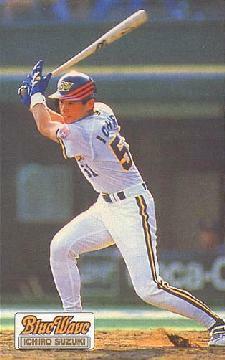 Calbee '93. 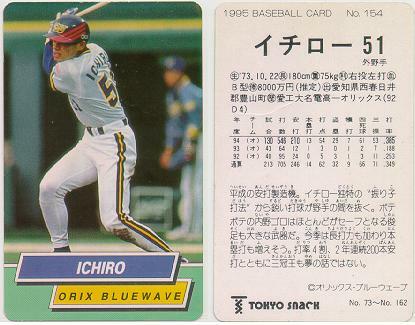 Japan Pro Baseball Fan Handbook & Media Guide (Pre-1993 Season). 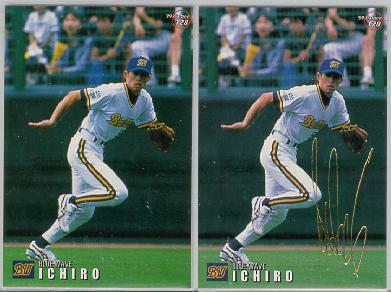 Note: Counterfeits  made in 1995  exist of Calbee #37, #38, and #39, but can be identified by looking closely at Ichiro's photo on the back side. 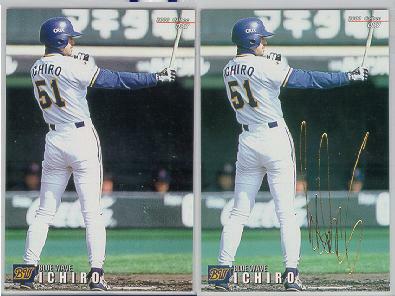 On all three 1994 originals  as well as the 2001 reprints  the blank area behind him is grayish. 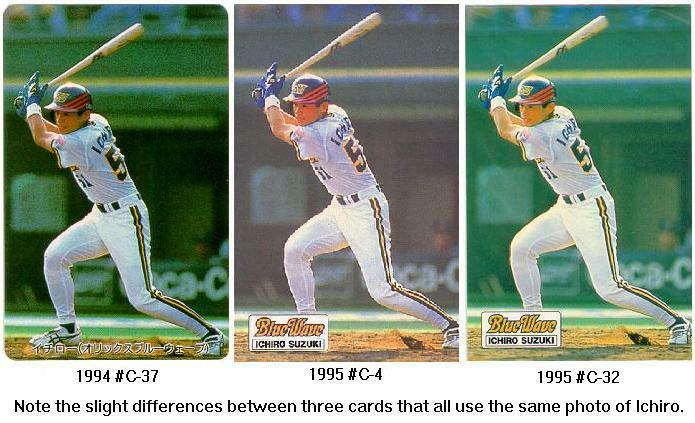 All three have the exact same image on the back. 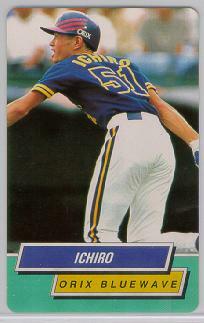 On the fakes, the area behind Ichiro has a reddish-purple tint. 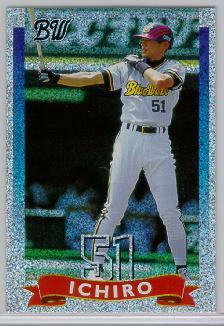 If there is no opportunity to inspect the cards, another reason to suspect a counterfeit is if the price seems to low for such scarce cards. 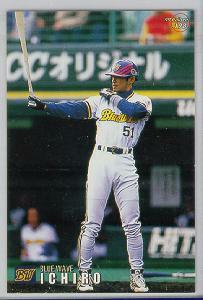 Calbee '95 #C-4 ("Ichiro Suzuki" in Black print). 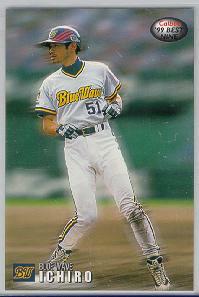 Calbee '95 #C-4 ("Ichiro Suzuki" in Gold print). 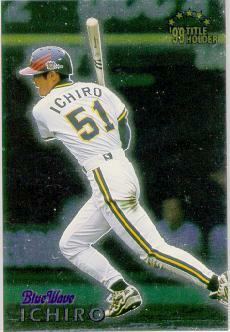 Calbee '95 #C-32 ("Ichiro Suzuki" in Black print). 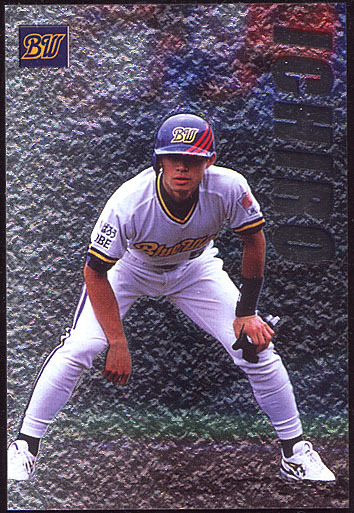 Calbee '95 #C-32 ("Ichiro Suzuki" in Gold print). 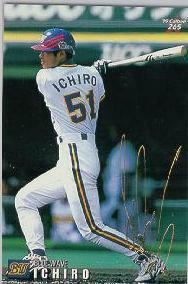 Calbee '95 #C-32 ("Ichiro Suzuki" in Black print). 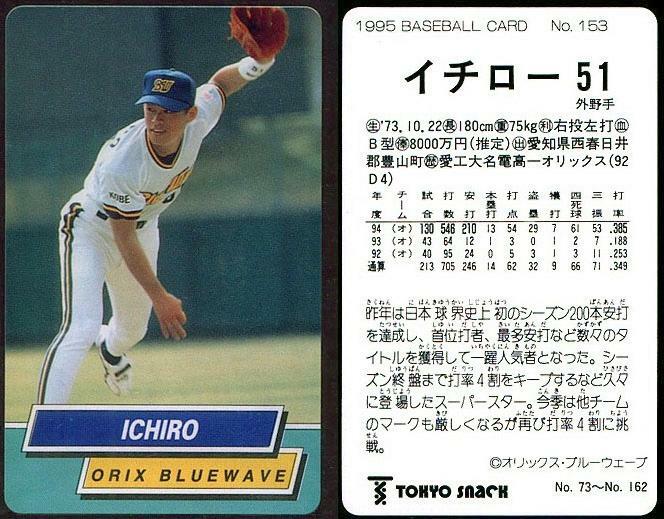 Chiba Lotte Marines Stadium Giveaway. 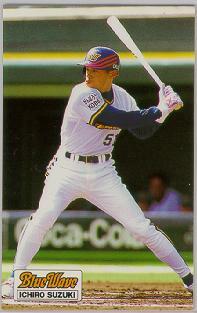 Calbee '98 #CD-08 (Oversize, die-cut. 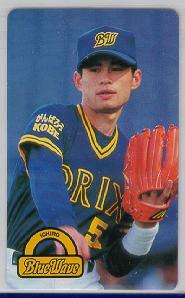 In CD case). 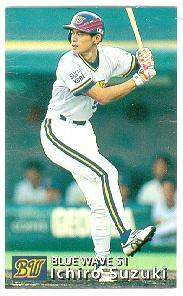 Calbee '98 #S-08 "Starcard" (Insert). 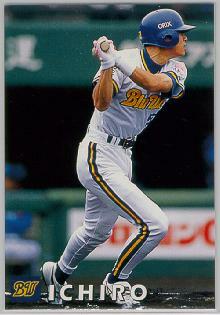 Calbee '98 #W-13 "West Special" (Distributed only in Western Japan). 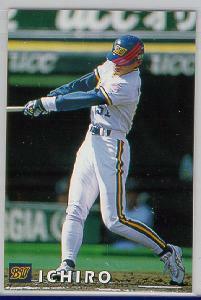 Calbee '98 #022 "Super Players '97" (First printing). 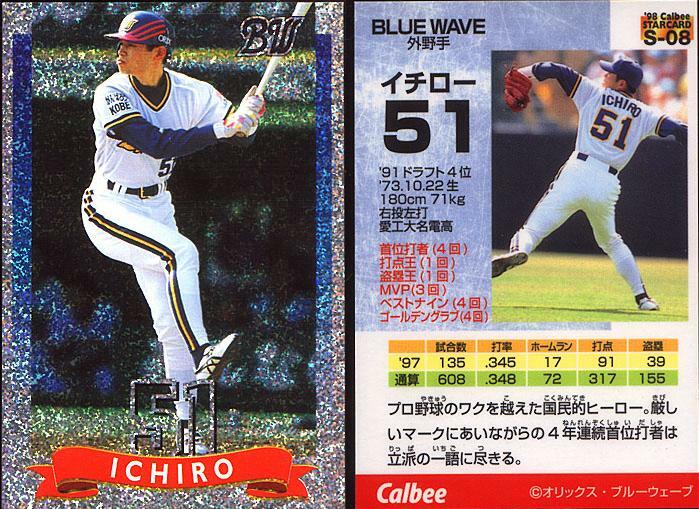 Calbee '98 #022 "Super Players '97" (Second printing). 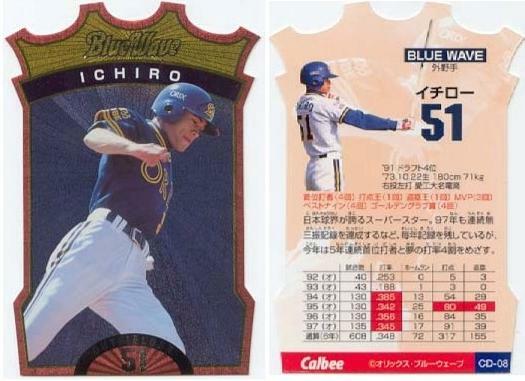 Calbee '98 #S-22 "Starcard" (Insert). 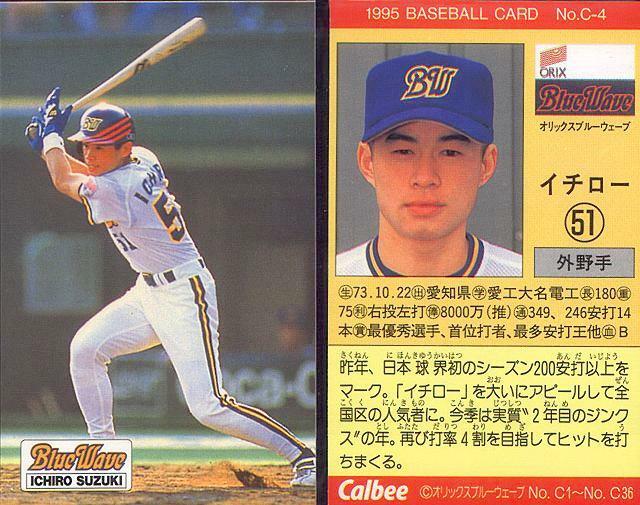 Calbee '98 #CD-24 (Oversize, die-cut. 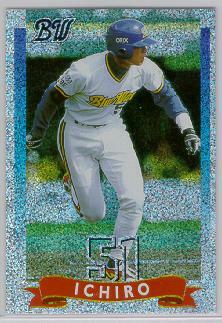 In CD case). 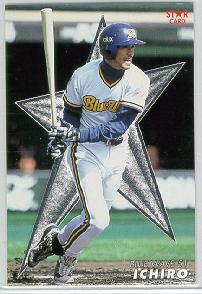 Calbee '98 #S-36 "Starcard" (Insert). 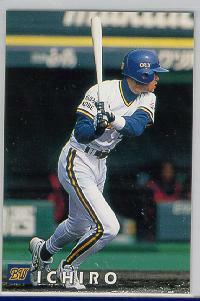 Calbee '98 #W-47 "West Special" (Distributed only in Western Japan). 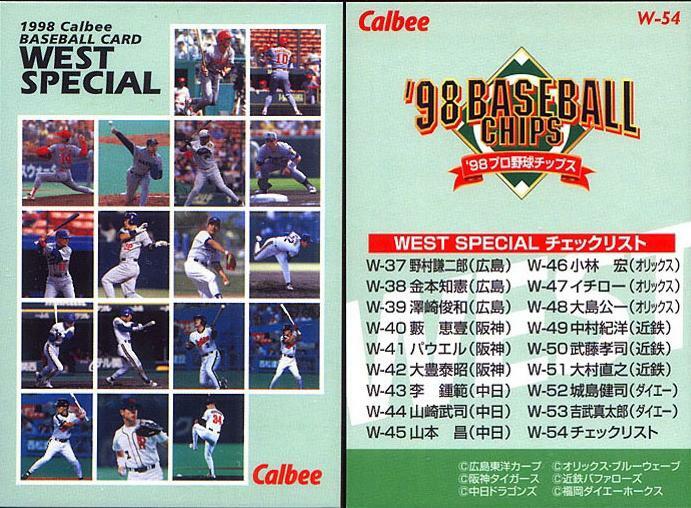 Calbee '98 #W-54 "West Special" (Distributed only in Western Japan). 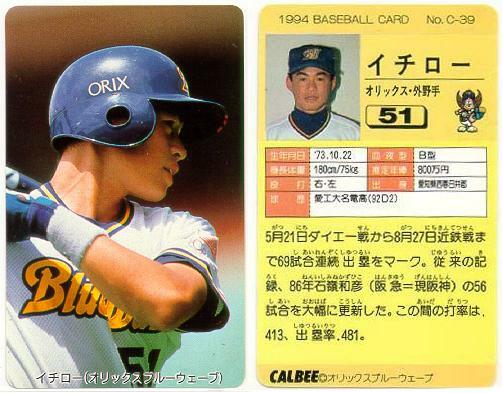 Calbee '99 #T-06 " '98 Title Holder" (Insert). Calbee '99 #SP-09 "Special" Redemption Only. 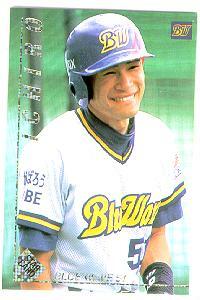 Calbee '99 #S-15 "Starcard" (Insert). 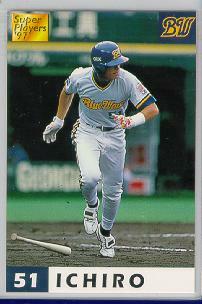 Calbee '99 #SP-21 "Special" Redemption Only. 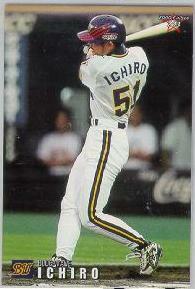 Calbee '99 #S-46 "Starcard - Ichiro" (Insert). 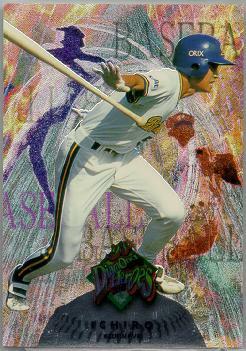 Calbee '99 #128 Redemption Only (Gold Signature). 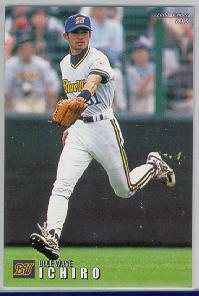 Calbee '99 #198. 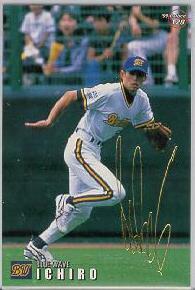 Redemption Only (Gold Signature). Calbee '99 #265 Redemption Only (Gold Signature). 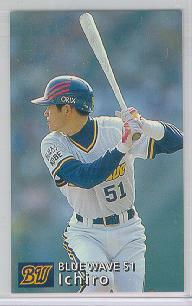 Calbee '00 #SP-03 "Special" Redemption Only. 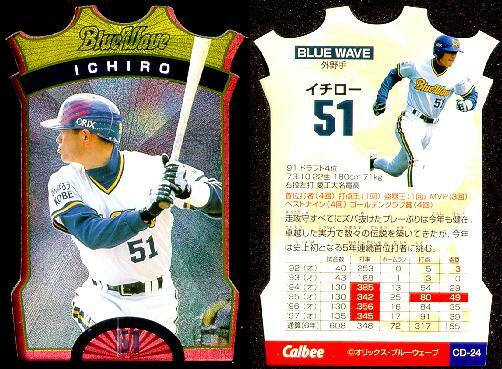 Calbee '00 #04 "Starcard - Ichiro" (Insert). 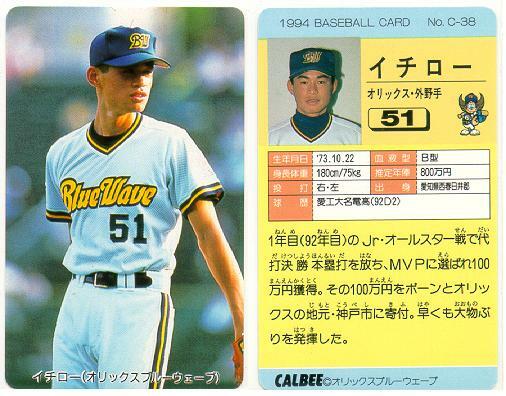 Calbee '00 #T-04 "Title Holders" (Insert). 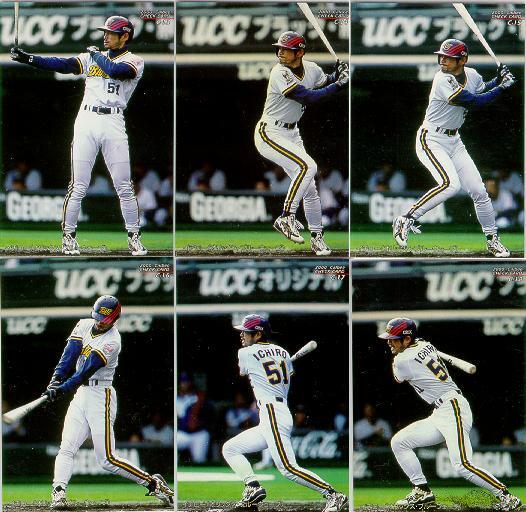 Calbee '00 #B-13 " '99 Best Nine." Calbee '00 #C13 "Check Card" (Ichiro's Swing 1). 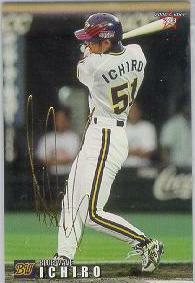 Calbee '00 #C14 "Check Card" (Ichiro's Swing 2). 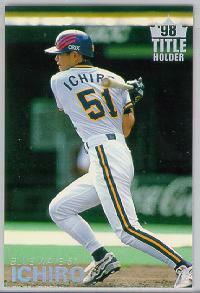 Calbee '00 #C15 "Check Card" (Ichiro's Swing 3). 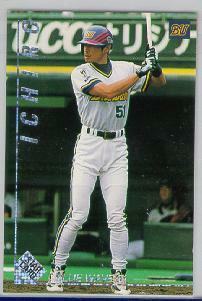 Calbee '00 #C16 "Check Card" (Ichiro's Swing 4). 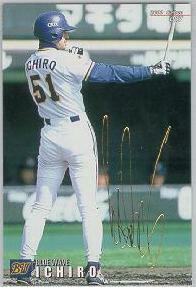 Calbee '00 #C17 "Check Card" (Ichiro's Swing 5). 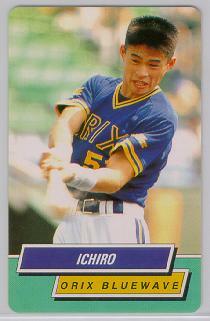 Calbee '00 #C18 "Check Card" (Ichiro's Swing 6). 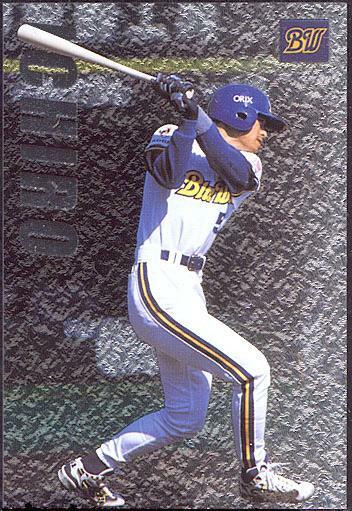 Calbee '00 #C13 - C18 "Check Card" (Ichiro's Swing) (Set of all six). 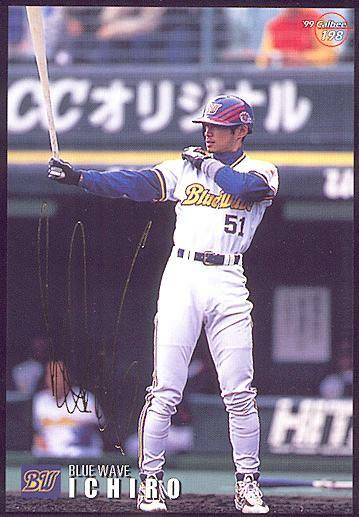 Calbee '00 #15 Redemption Only (Gold Signature). 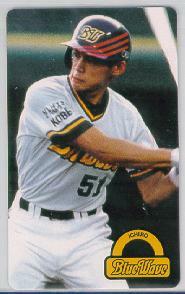 Calbee '01 #37. 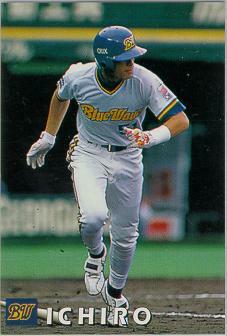 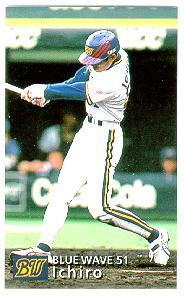 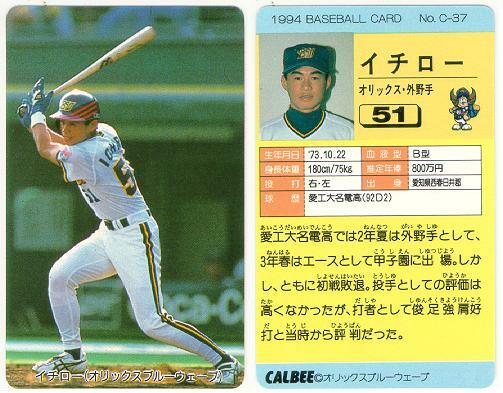 Reprint of the first Calbee card, made in 1994. 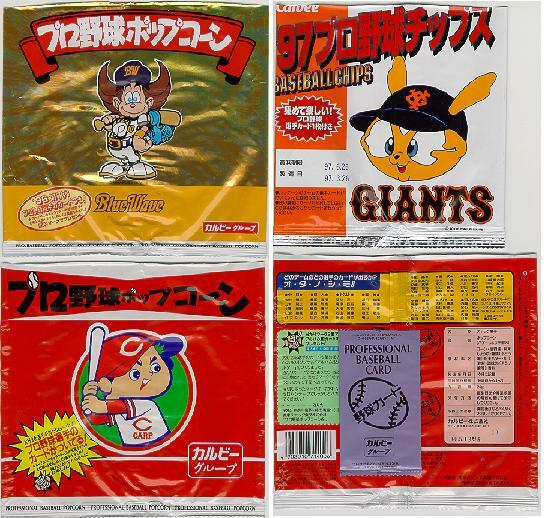 Calbee cards often came as premiums with Calbee snacks, such as candy, popcorn and potato chips. 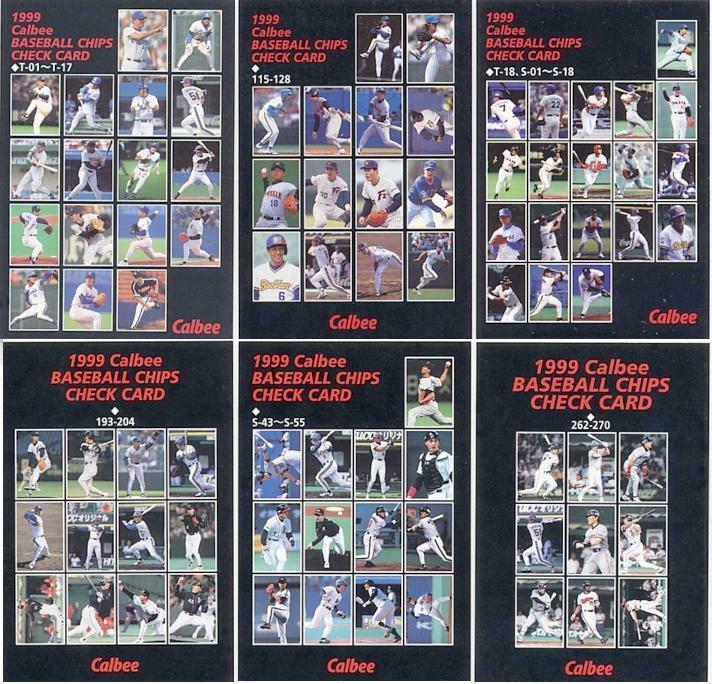 Click here to see samples of Calbee bags. 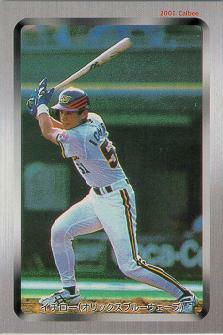 All prices shown are for Near-Mint to Mint condition. 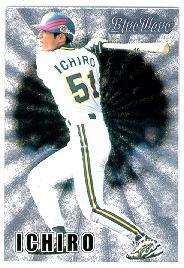 Cards graded and sealed by any of the grading services may sell for more than shown here.